At its July 3 meeting, the Board of Education appointed Joseph Onativia as Interim Assistant Principal for South Orangetown Middle School, effective today. Onativia first joined the South Orangetown Central School District in 2005, as a fourth-grade teacher at Cottage Lane Elementary School. For the past four years, he has worked as an elementary Instructional Literacy Coach to promote best teaching practices in ELA and Social Studies. In this role, he has helped developed curriculum maps for reading, writing and social studies; provided ongoing professional development for teaching staff; led the district-wide, K-12 ELA and Social Studies Leadership Teams; and, served on the Rockland County ELA Curriculum Council. Prior to joining SOCSD, Onativia taught fourth grade for three years at a Bronx public school. In addition to his work in the classroom, Onativia coached both JV football (assistant coach, 2008-11; head coach, 2012-15) and JV boys lacrosse (head coach, 2010-17) at Tappan Zee High School, with a strong emphasis on character education and leadership. He earned the Rockland County Assistant Coach of the Year Award in 2011 and the Rockland County Coaches’ Humanitarian Award in 2016. Onativia holds a Bachelor of Science degree in history from SUNY Oneonta and a Master of Arts degree in Elementary Education from Johnson State College. 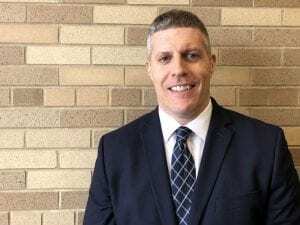 He is enrolled in an Educational Leadership Program at Manhattanville College for both School Building Leader and School District Leader certifications.